Screen recording has become very popular in recent times with the rise in need to share screen content with other people for various reasons. These reasons range from reporting bugs, making tutorials or demos, showcasing gameplay, reviewing a product or even capturing a screenshot that has some information you need to store. In addition, you may need to record the webcam or capture devices attached to your Mac OS X. All these activities require you to have good software on your Apple PC be it a Mac Pro or MacBook Pro etc that will be able to help you achieve exactly what you need. In light of that, many screen recorders have been developed for the Mac OS X platform with each bringing unique features or just improving on features that have already been introduced before. To choose from all these software and end up with just one can really be tedious and confusing without you having all the information on what each has to offer. This article is for you who is not sure which screen recorder to go for be it in terms of brand, free, paid or feature-wise. This article covers on the most popular and best screen recorder software for Mac platform highlighting on the main features that make each tick. At the end of the article, you will have an easier time making a final decision on what to go for depending on your needs. Without much dilly-dally, let us get started. The ability to record not only the screen but also the webcam with an option of PIP mode. A multi-track timeline is provided when editing giving you the freedom to tinker with the recording as you may wish to. You have an option of including voice narration via the microphone together with audio and visual effects. You get a 30-day free trial with Camtasia Studio after which you can go for the paid version that carries all features without any limitations. ScreenFlow is both a screen recorder and an editor at the same time. Get your hands on the highest recording quality coupled with lots of editing tools. You will be able to record the screen, the webcam and also capture audio if need be. Besides this, you are also given a special feature where you are able to record your iPhone or iPad screen like when making app demos. When it comes to editing tools, you get access to lots of annotation tools, a built-in stock media library to choose from, professional animations and motion graphics to spice up your videos even further, ability to add closed captions and even more to explore. 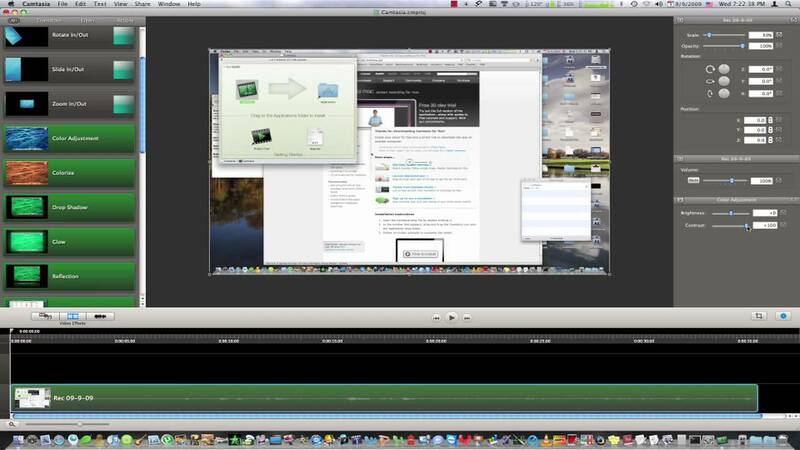 ScreenFlow for Mac comes with an instinctive user interface making it very easy to learn and use. Output options are even superior as you can also opt to output recorded videos as animated GIFs or PNGs. Lots of publishing options are available and tutorials that make the learning curve less steep. 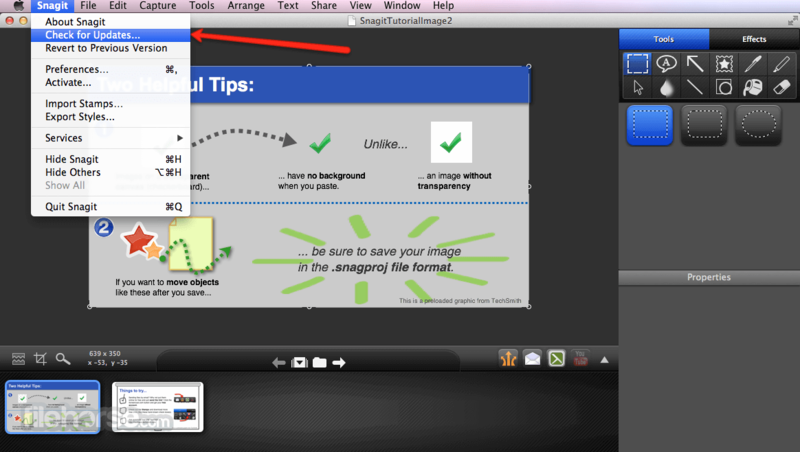 Snagit is another screen recording tool for the Mac OS X that brings tons of features. Capture the screen and webcam on the go and better yet capture screen video of your iOS devices which you can later edit. 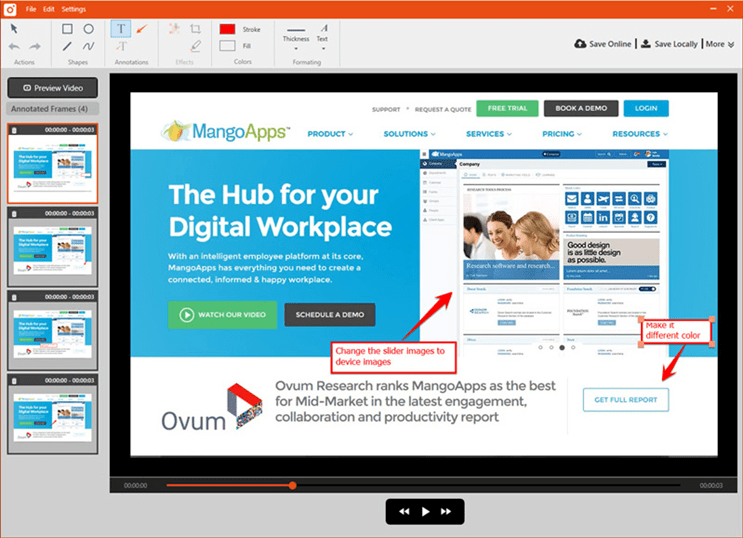 With Snagit, you will be able to capture screen video of the whole screen, a specific region, an application window like a web browser and also a scrolling screen when it comes to screenshots. A special feature also comes with this desktop recorder whereby you are able to grab text directly without having to retype. As for the audio, you will be able to capture both the microphone and system audio depending on the goal at hand. In addition to this, you also get editing tools including outlining, stamps, magic wand, text effects, automated object movement not forgetting trimming and cutting videos as necessary. When it comes to sharing, Snagit has a variety of integrations of popular services like YouTube, Dropbox and more that allow you to directly share your work without leaving the app. 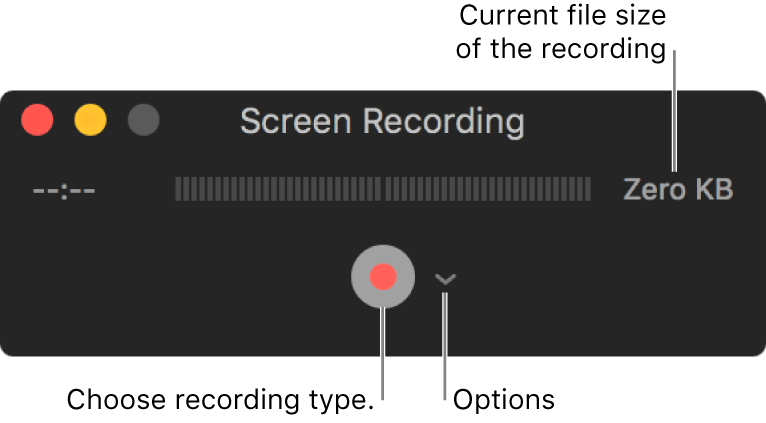 When working on the Apple platform, be it your Mac Pro or MacBook Pro, Screencastify will give you several recording modes that you can get started with depending on your goal. It is also a special software as it comes as an extension exclusively for the Chrome browser. One of the modes is that you are able to record the screen which can be a game-play video, a presentation or even a tutorial. Moreover, you are able to record the webcam too and include audio on the go like for the case you need to personalize footage with your narration. 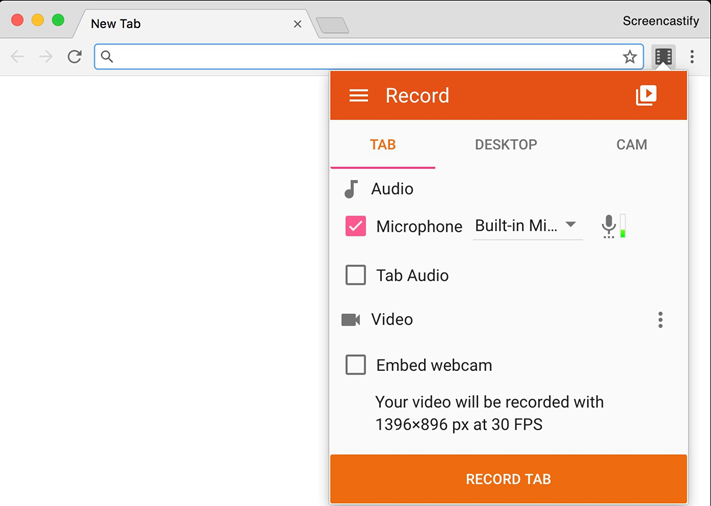 Lastly but not least, Screencastify will enable you to record an active browser tab on Chrome which comes in handy when you need the viewer to follow on how to navigate a website. During the recording, you will be able to put the focus on the cursor by highlight the mouse. Once you have recorded, annotation, drawing, and other editing tools are provided to enhance the video making it as informative as possible. Screencast-O-Matic is one of the best screen recording software for mac that not only comes as a screencasting tool but also a video editor. In a fast, free and easy way, you will be able to capture the screen, include the webcam and voice narration if need be. After the screen capture, an intuitive video editor is available for you without leaving the app where you can enhance the screen recording by adding music, adding images, including animations, overlaying and more. Enjoy vast sharing and content protection options with this software when you use the hosting services provided. The service will let you share, collaborate and even determine the level of privacy of your videos. A new feature to also enjoy is that you can have your recordings safe and secure with an online backup away from your Mac. With this feature, you also save on local storage which would have been taken by the files. Screencast-O-Matic comes as a free and paid app and the choice you opt for depends on the features you need. VLC is popularly known as a cross-platform multimedia player but in addition to this, it carries with it screencasting properties that most people don’t know. Besides playing audio and video, VLC is able to record the whole macOS screen with a customizable framerate. To accomplish this, VLC plays the screen as a stream or saves the output locally on the Mac. Besides that, it has a DirectShow mode that allows you to capture footage from a video device of choice. VLC will be able to detect connected video devices like the webcam with an option to not include it completely. If you need audio, options for it are provided at your fingertips, all you need is to set the right options. In addition to that, VLC is able to directly capture footage from digital TV cards that you may have connected. All you have to do is select the tuner card, match it with its specific delivery system and you will be ready to capture. Just like VLC, QuickTime is mostly known to many as a media player just like the name suggests. When you explore it further, you will find that it also comes with screencasting properties. Primarily, QuickTime will empower you with two recording modes whereby you can choose to record the whole screen or optionally drag the mouse to select a specific area on the screen to record. Audio capturing is taken into consideration with QuickTime being able to identify audio capture devices on your Mac Pro or MacBook Pro in case you need to add narration to your screencast using the microphone. Putting emphasis on certain areas of the screen capture is important and this software will let you do just that by giving you an option to show mouse clicks. However, saving of recorded screen video is manual so never forget to save. Once you have saved the output, you will be able to share the file with the target audience easily by even uploading to a platform of choice like Vimeo and YouTube. 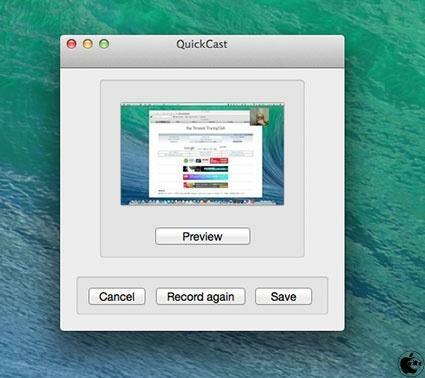 Just like the name suggests, QuickCast lets you make quick screencasts with a maximum length of 3 minutes. It is ideal for those of us who need to make quick screen recordings on the go like for instance when you need to report a software bug on your Mac OS X.
Quickcast consumes very little resources on your Apple PC as it is very minimalist in nature making the initial setup process even very swift. Better yet, if the recording is not beyond 10 seconds, you can convert the video to an animated GIF which is small in size hence saving on space and requires little bandwidth when it comes to sharing. Even when saving as a GIF, the quality is not compromised so the viewer does not have a hard time when trying to make out what is in the screen recording. 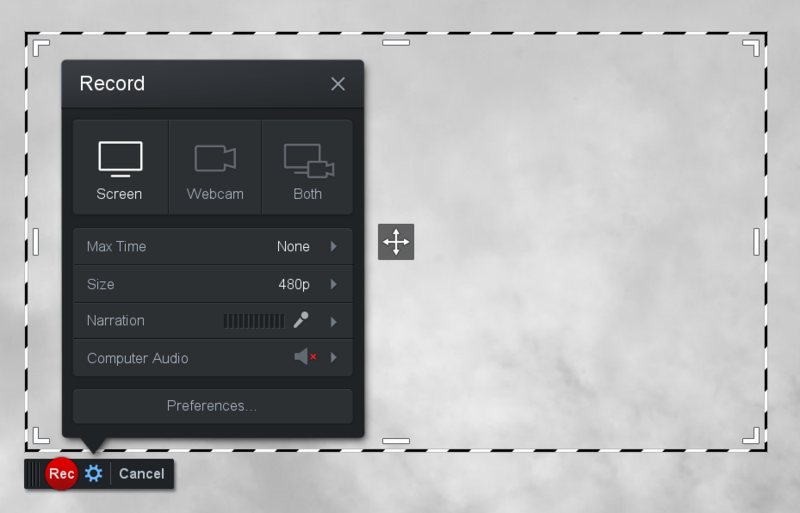 In addition to screen capture, you can also personalize your video with a webcam recording intro. After recording, you can save the file locally and have an option to publish and share the same file on the QuickCast cloud services. A shareable link will be generated for you. This is a superior snapshot and screencasting tool from Ambrosia Software. Most of the time, it is considered more of a screenshot app despite being able to capture screen video. Whether taking a screenshot or recording the screen, each of these activities can be done on the full screen, an application window and better yet a specific area that you select by dragging the mouse cursor. 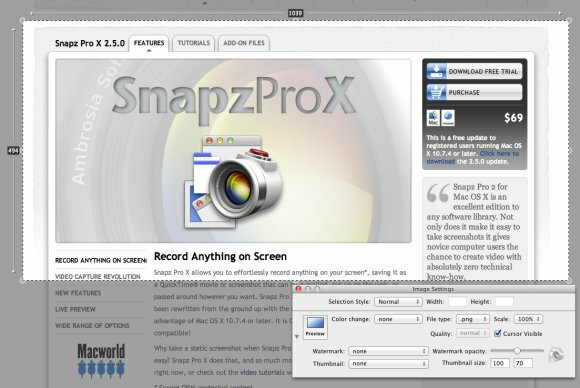 Snapz Pro X is able to support both Retina and non-Retina displays. A handy feature with this software is the option to preview output even before you can save. Like for a screenshot, you will be able to review and make necessary modifications with the available built-in editing tools. To make work easier, hotkeys are provided for fast and convenient carrying out of tasks. Watermarks are also allowed so that you are able to personalize screen captures as you may wish. Regarding output, this app will let you save screenshots in various formats and QuickTime Movie format for the video. 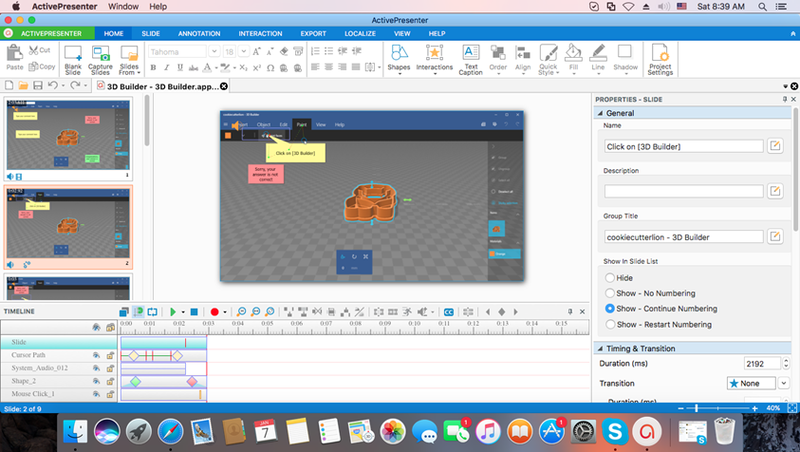 ActivePresenter is also one of the best screen recording software for Mac that comes with extras of a video editor and an eLearning authoring app. You will be able to record gameplay video, presentations, tutorials and even take screenshots on the go. A smart capture option is available for screenshots whereby you take them at the click of a mouse button or a hotkey. You can include either audio from the microphone or system audio depending on the goal at hand. With the microphone, making narrations or voiceovers has been made easier. ActivePresenter is very rich in editing tools that cannot be exhausted here which include spotlighting, styling, zooming, and panning, green screen, media importation, captions, text to speech, annotations, transitions and animations, blur and transparency among others. After recording you can output the file in WMV, MP4, MKV or WebM format and then upload to YouTube without leaving the app. This software comes as a free version but there are other paid versions that require you to dig into your pocket. OBS Studio is another best screen recorder for Mac that is free and open source most suited for video recording and live streaming. With OBS Studio you will be up and running within no time and have total control over your streams. This app is very lightweight with even high performance without taking a toll on your Mac OS X resources. The high performance is ideal for real-time video and audio capturing and mixing. It comes with unlimited scenes that you can easily switch between seamlessly using transitions. When it comes to videos, filters are just a click away including image masking, chroma, and color correction. In regard to audio, you are able to tinker with it in terms of noise gates, gain and noise suppression making clarity of audio very outstanding. OBS Studio also comes with polished settings making sure that a user does not struggle to find options hence quick broadcast and recording configuration. Better yet, it comes in both dark and light themes for you to choose from. Jing is not only a screen recorder but also a screenshot app that gives a user an option to include audio in the screencasts. Editing tools are just a click away, especially when dealing with snapshots. To work with Jing on your Apple PC, you must be connected to the internet and have an account at Screencast.com. The account, which is free, will open doors for you to use the app besides giving you access to cloud services where you can save your work. When recording, you can select a specific window, a region on a window or drag the mouse to demarcate an area to record. However, it is good to note that Jing for Mac limits you to a maximum recording of 5 minutes. Add narration on the go with the microphone which you select at the start of the screencast. Customizable hotkeys are provided for you to work even faster. You can also customize share buttons, manage your recording history all with Jing’s intuitive user interface. Looking for a quick and convenient screenshot, screen capture and editor tool? 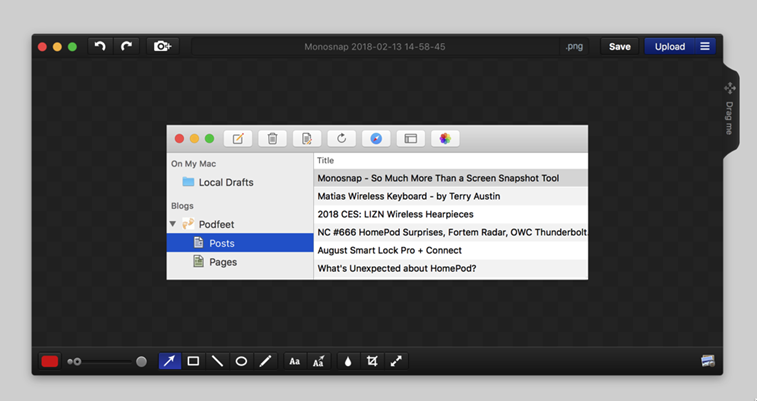 Monosnap is here to give you all that on your macOS. In simple steps, you will be able to capture what you need, edit on the go and share to your audience within a very short time. No restrictions whatsoever when it comes to capturing be it the full Apple PC screen, a specific area on the screen or even a window. Set the frame rate and video quality as you prefer even before the actual screen recording starts. Include the webcam if need be by implementing PIP mode to personalize the recording as you wish. Sound-wise, Monosnap gives you the freedom to capture both system and microphone audio depending on the intended goal. A magnifying glass is provided when selecting an area to record making sure you are precise to the level of a pixel. Customizable hotkeys are provided in addition to rich editing features and free cloud storage. 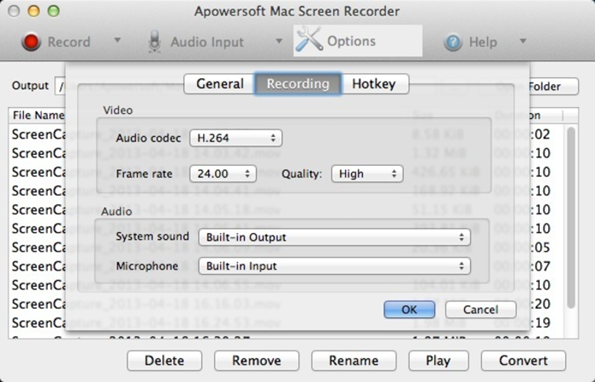 Apowersoft Screen Recorder is one of those screencasting tools that live on the web without an option of starting them with a locally installed application on the Apple PC. You just need to head over to the Apowersoft Screen Recorder website and launch it from there to start recording. 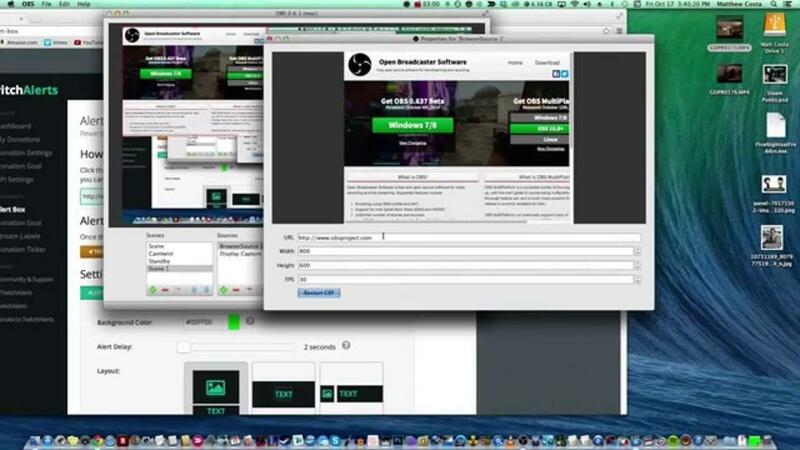 With this software on your Mac Pro or MacBook Pro, you will not only be able to record the screen but also the webcam. Select a region or even the full screen to record and be able to tinker with video quality, resolution, aspect ratio, bitrate, frame rate, and codec (H264/MPEG4) as you see fit. You can choose to include audio or not be it from the microphone or system audio with an option of selecting the quality preferred. 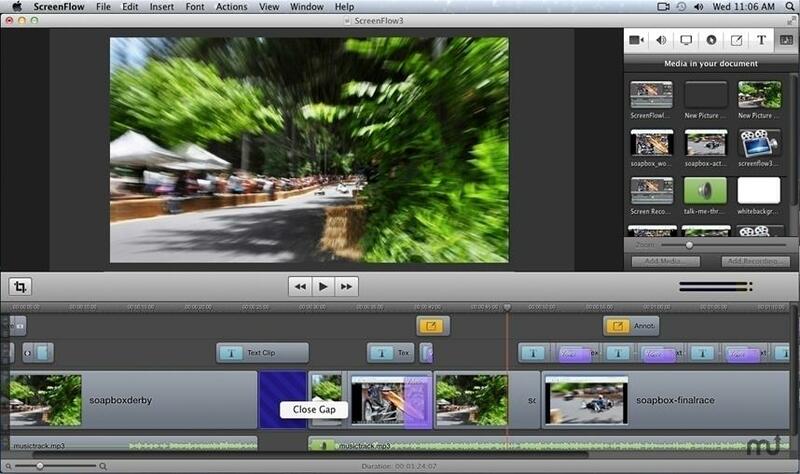 Apowersoft Screen Recorder also brings you real-time editing out of the box. Various annotations tools are available for you as you record including arrows, text, lines, highlights and more. Once you are done recording you can output the file locally or save online on the cloud depending on your preference. Recordit is one of the best screen recorders for Mac especially when it comes to resource consideration. It uses very minimal resources on your Mac OS X making sure you get no lag at all when carrying out a screen recording. The application comes in a very minimal form and once installed lives in the masOS menu bar. For it to be fast as intended, Recordit limits to a maximum of 5 minutes for any single capture. Whenever you need to make a recording, you have to select an area of interest with the mouse and commence recording. The output can be in the form of a video file or even convert the same video to GIF for easy and convenient sharing. 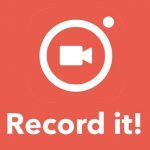 The recording is automatically uploaded after you have finished capturing and a link auto-generated and copied to the clipboard for you to share. A customizable and multipurpose hotkey is also provided to work with. Since files are uploaded online, you can always manage the files at any time you need whether to delete or review. Tinytake is both a screen recorder and video editor that requires you to have an account and an internet connection to work with. 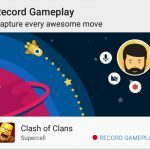 Just like other similar software, this app is able to record a specific region, an application window and even the whole screen like when you need to record gameplay video. Additionally, you can capture video devices on your Mac OS X including the webcam. Tinytake will review you connected media devices even before you start recording to ensure you don’t miss anything. For audio, you can choose your preferred device like the microphone that can be used to add narration to the video. Hotkeys are just a click away when you need to perform tasks even faster and conveniently. Once the recording is ready, editing tools are provided for you including rich annotation tools, blur effects, drawing tool, highlighter among others. These features are even made easier by the implementation of a simple drag and drop feature. You also get a quick share, an inbuilt file viewer and a streaming feature. With this breakdown of each screen recorder, you cannot lack to identify one that fits your needs. There are some that that will pull you due to the fact that they come free but for advanced features, you will have to go for the paid version of the software of interest. Generally, the paid version of a software offers more features than the free version. The choice all yours now. Get choosing!